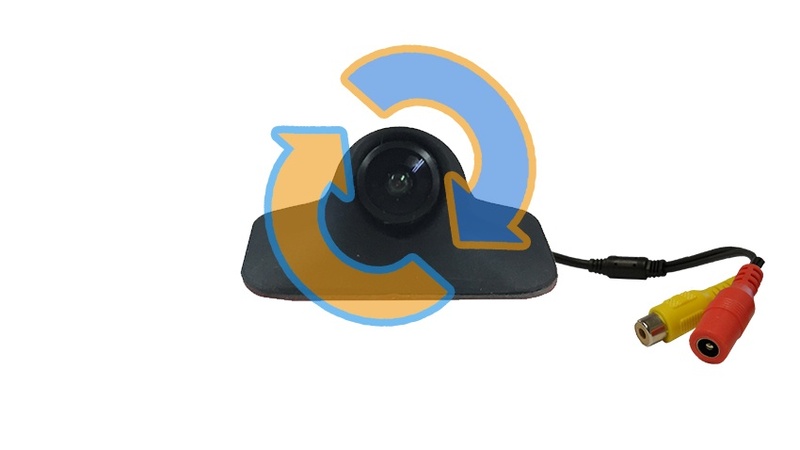 The 360 degree adjustable camera features a fully rotatable lens, allowing for use as a backup, frontal, or side camera. At TadiBrothers, you can get a rear view camera system to increase your safety on the road without breaking the bank. Our backup cameras come equipped with military-grade night vision so that you never have to worry about a dark night getting the best of you. The camera can be set to turn on automatically when you are in reverse, or to stay on at all times to monitor approaching traffic. This camera has a movable lens. This allows you to push the camera lens to exactly where you want it, so you can view anything.This Backup camera has the most amount of customizable and movement you will find. Easy to install, comes with an adhesive mount or you can screw it in. Our vehicle backup camera is easily and securely anywhere on your vehicle for an unobtrusive look. The wide 170° angle will ensure that you can see everything behind you in vivid detail and color. You will have a clear view of the right, left, and rear of the vehicle without having to rely on a fisheye lens. The rugged, weatherproof construction is made to withstand anything that the road may throw at it. Buying a rear view camera system is one of the most effective ways to make your daily commute much safer. Here at TadiBrothers, we take pride in our quality products, fair prices, knowledgeable customer service, and fair policies. We provide our customers with 24/7 tech support, as well as a 30 day return/exchange policy. Order a camera today and see the difference for yourself.